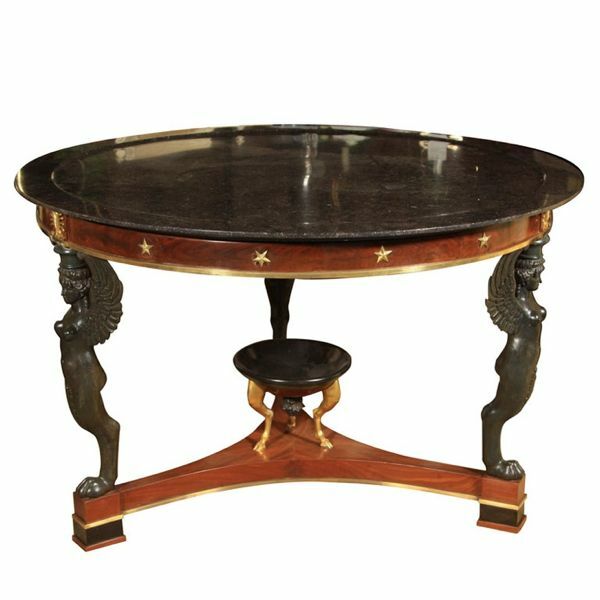 GUERIDON (Rhymes with Aubusson): A small, typically round, side table. It originated in France and Italy in the second half of the 17th century. Andrea Brustolon created some of the finest specimens. A few survive today in the Ca’ Rezzonico in Venice. Later examples often have neoclassical motifs. Carved boxwood gueridon by Andrea Brustolon, c. 1690–99; in the Ca’ Rezzonico, Venice. The figure supporting the tabletop is known as a blackamoor. The gueridon takes many forms. Sometimes the tabletop is supported by columns or figures such as caryatids. Here are a few other classic examples. (The next Design Dictionary will cover campaign furniture in detail.) 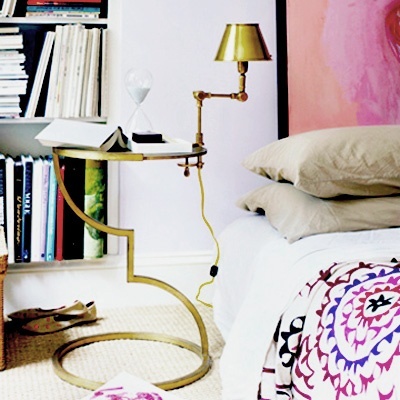 Quick review: the side table sits in front of a beautiful Art Nouveau bed (note the whiplash curves on the headboard). Fornasetti created an eye-catching version. I am a big fan of this type of side table and own two. Here is the one I use as my nightstand. If I were shopping for one today, I would look hard at these two tables. The first is from Distant Origin. 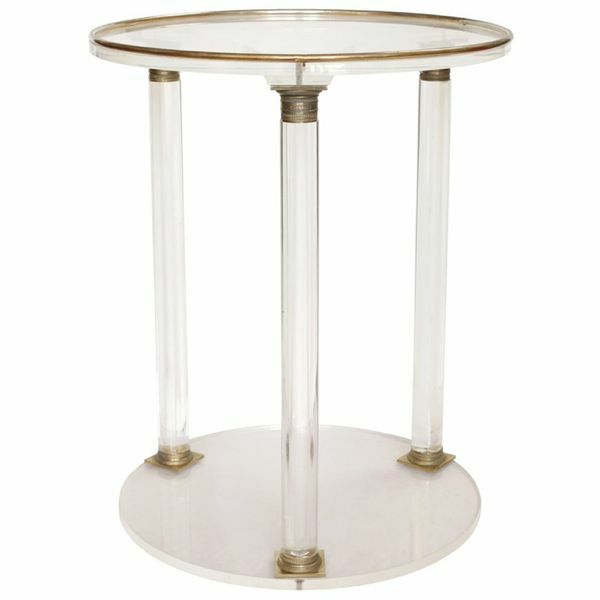 I also like Van Collier’s gueridon from their Gingko collection. I discovered Van Collier a few years back at High Point Market.